By Catherine Hodges - Development Editor. Molecular Omics is delighted to introduce Editorial Board member Professor Nicolle Packer. Nicki Packer is a Professor of Glycoproteomics and Director of the Macquarie University Biomolecular Discovery & Design Research Centre, Australia. 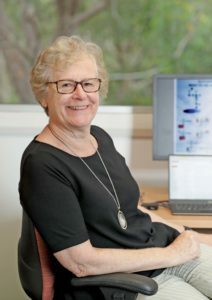 Over the course of her extensive career, she helped establish the Australian Proteome Analysis Facility, for which she is now a Consultant, and co-founded the biotechnology company Proteome Systems Limited. Nicki’s research focuses on glycomics, the investigation of post-translational modifications of proteins by sugars.As sugars are present on the cell surface, they are involved in cell-cell contact and therefore play a key role in many intercellular processes such as blood coagulation, tumor growth and metastasis, immune recognition and response and cell-cell communication. Professor Packer’s main research interests lie in the role of glyosylation in different systems, glycoproteins in the innate immune system, cancer glycomics, and the advancement of glycomics technologies. You can find out more about Nicki and her research interests on her webpage. To find out more about our Editorial Board, take a look back at some of our previous blog posts, highlighting Prof. Benjamin Garcia, Prof. Hyungwon Choi and Dr Andrej Shevchenko. You can also meet the full Editorial Board on our webpage.